Every Labor Day weekend since 2009, Electric Zoo — New York City’s own electronic music festival — transforms Randall’s Island ..
CODEKO soars while "Walking with Lions"
It's so often that we see festival anthems released by names that are already overgrown in dance music. So much so, they might be considered .. It's official: by many standards, after this weekend, summer 2015 will officially be over. School will be back in session, and it will eventually ..
Labor Day weekend is swiftly approaching, and though that saddens many in the Northeast, signaling the return of colder weather, for dance ..
Austrialian producer Hook N Sling is no stranger to big festival crowds. This past weekend, he graced the main stage of New York's Electric ..
Nicole Moudaber's latest work can be introduced with one phrase: techno legends unite. Remixing her friend and contemporary, the one and only .. Whether you know him as RL Grime or Clockwork, we can all agree that Henry Steinway has had a busy summer so far. Aside from juggling the schedule ..
As a New Yorker, the approach of the beginning of August might not necessarily make our hearts sink because it signals the end of summer, .. Ferry Corsten is an integral part of dance music's past and present, acting as a power player in forming today's current culture. 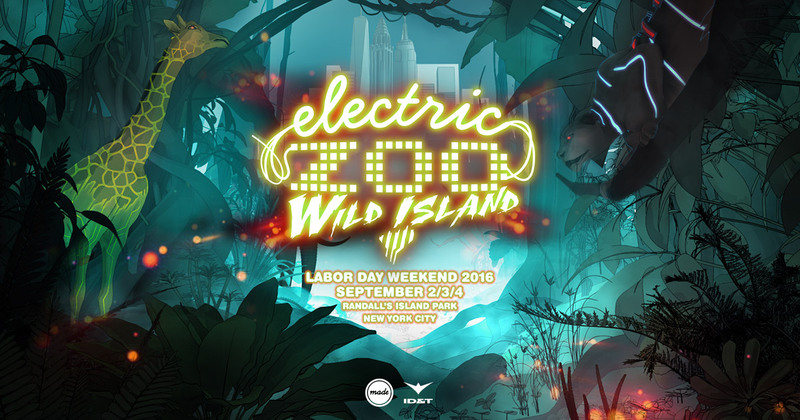 The Dutch ..
With Labor Day weekend almost upon us, attendees of the 5th annual Electric Zoo festival in New York can finish their last-minute plans (or join ..